Banana has many essential nutrients and healthy food for growing kids. But both my kids avoid eating a banana. I have found the easy recipe which is made using banana. 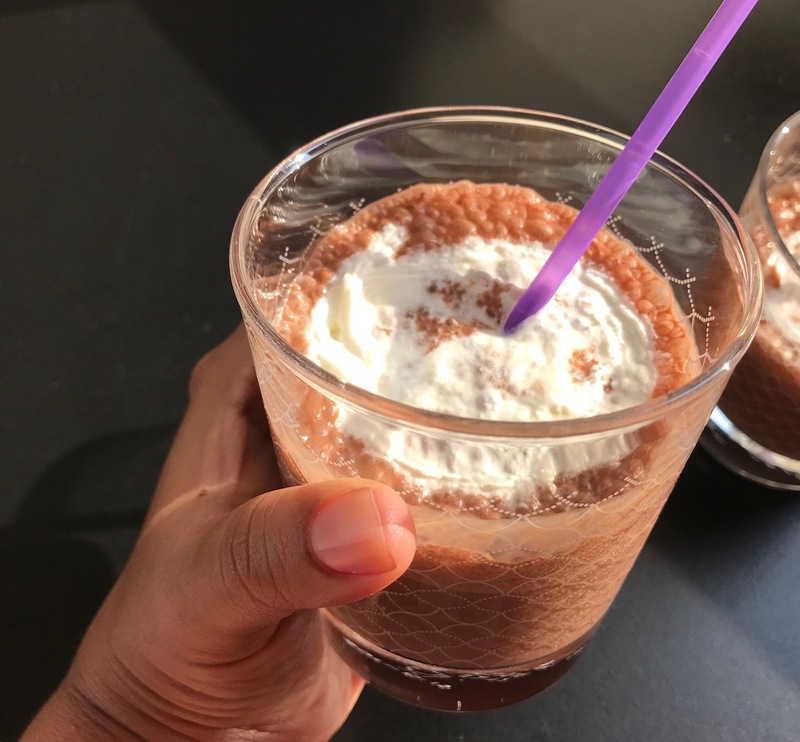 I absolutely love chocolate banana smoothie as, it’s the perfectly delicious way to give a banana to my kids. 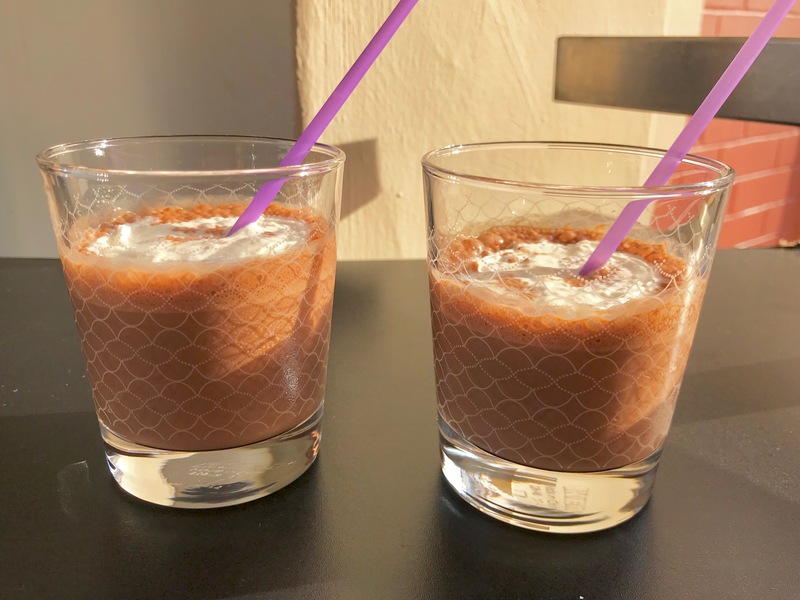 Chocolaty taste of cocoa powder(I have used hershey’s unsweetened cocoa powder.) and sweetness of bananas make this smoothie perfect dessert for the kids. On the hot and humid day, this smoothie is thirst quencher for us as well. I make mango smoothie using kesar mango and saffron flakes. As now season of mangoes is over, I shifted back to a banana smoothie. While serving it for the kids I top it with whipped cream and grated chocolate as well. Try following the recipe to make a Chocolate banana smoothie in a few minutes. Blend all ingredients (Except whipped cream)in a blender until smooth. Top smoothie with whipped cream and any toppings of your choice. Chocolate banana smoothie is ready to serve.